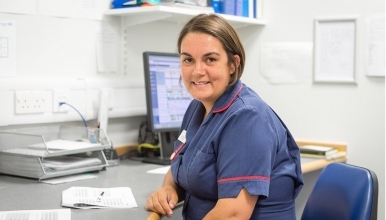 An exciting opportunity has arisen within The Shrewsbury and Telford Hospital NHS Trust for a Band 7 Sepsis Nurse Practitioner (pending agenda for change). The successful candidate will be leading the education, training and monitoring of Sepsis at the Trust. The Transforming Care Production System improvement methodology has been used for the Sepsis Value Stream and there are many improvements that will require your motivation and support to roll out throughout the organization. We are therefore looking for a highly motivated and innovative individual who is enthusiastic and passionate about care of patients with sepsis who is bursting with ideas. The role will involve all aspects of the care of patients with sepsis including education, governance systems, service development, audit work with close collaboration with resuscitation services, critical care outreach, senior nursing team and medical leads for sepsis. This is a full time post in which the post-holder will be expected to work mainly office hours Monday to Friday. This could be flexible in order to allow for innovative working and specific service developments.